i found this fun post on young house love and had to repost. 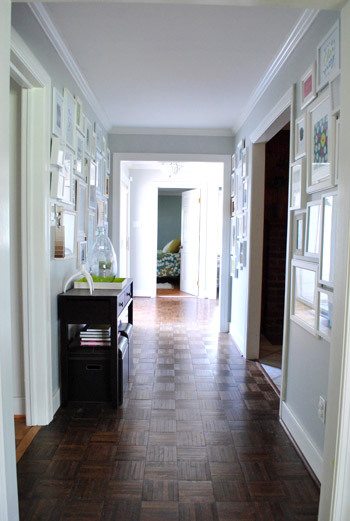 i love this hallway! 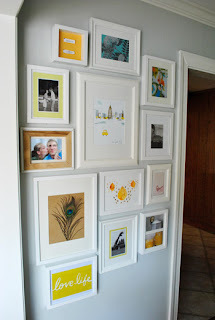 i tried to do something similar on the third floor of my house, but didn't have nearly as many frames. i need to go raid ikea like they did! 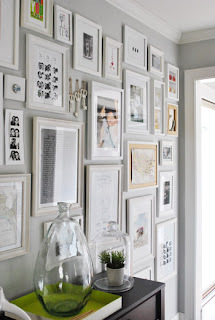 most of the stuff in frames are special memories, photos, and items of significance.